Consensus and his 2017 album ConCERNed bridges the gap between music and particle physics and has been covered in the media on FT.com, BBC World Service, London Live Television, BBC Radio UK, Ethiopia’s EBC, The Voice Newspaper and Influential blogs. Through this project he has also given talks & shows at the world famous Large Hadron Collider in Switzerland, Fermilab, Ontario Science Centre and prestigious institutes such as John Hopkins University (US), Cambridge and Oxford University in the UK. The album was born from Consensus’ ongoing collaboration with Art@CMS and Dr. Michael Hoch. ConCERNed is a 9 track contemporary rap album by London-based Consensus that dissects the particle physics research at CERN and tries to match the content to relatable stories and themes from everyday life. Each track’s writing styles and composition is carefully crafted in a way that it might better bring to life the feeling of otherwise lifeless and abstract topics. 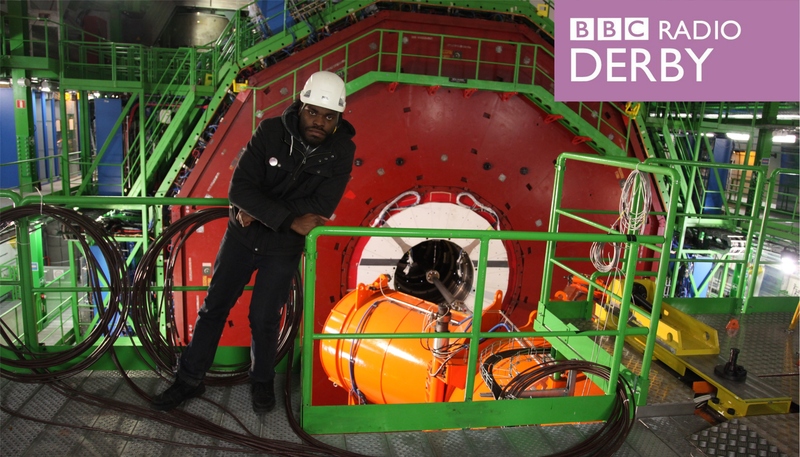 Can particle physics be described using rap music? Primarily, the songs aim to raise awareness on both particle physic research at CERN and key social drivers we see in modern western society.